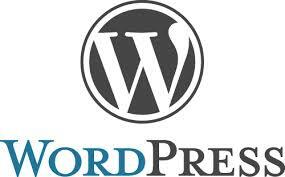 ‘WordPress’ is most widely used web blogging software and thousands of websites are already powered by WordPress. WordPress extend its functionality by the use of plugins, which make a naked WordPress blog into an efficient web publishing platform. The top 10 plugins I am going to tell are following. It’s highly recommended you to use these plugins when setting up your WordPress software. 1. All in One SEO Pack – It is one among the best plug-in to make the WordPress blog search engine friendly. The best option in this plug-in I like is the ability to write search engine friendly titles that are different from the page heading. 2. WP Super Cache – Caching of the dynamic pages helps reducing the load on the server. Caching helps the webserver to deliver the pages as static pages and thus faster response. One among the best caching plugin for WordPress is WP Super Cache. 3. Google XML Sitemaps – As you are aware, sitemaps are a key page Google and other search engines look for to index all your pages. The WordPress plugin Google XML sitemaps generate dynamic sitemaps very easily. 4. WP-DB-Backup – Many times, the database get corrupted for various reasons. WP-DB-Backup helps in backing up the database tables for later retrieval. 6. Redirection – Pages and URLs may turn non-existent and result in 404 pages. Redirection of the page to the right page is important for keeping your users engaged. Redirection plug-in help you do this. 7. WordPress.com Stats – Along with Google Analytics, I use WordPress.com stats for traffic analysis. It is easy to track your visitors, just by using this plugin, without leaving your dashboard. 8. YARRP – Keeping visitors engaged is the way to have more page views. This plugin provides an option to display the old related stories in your blog below the current story. 9. WP-Paginate – WP-Paginate helps you allow your visitors navigate through the archive pages easily. 10. WPtouch – Finally, now most of the web browsing is happening thru, smart mobile phones. This plugin automatically changes your WordPress blog into mobile friendly web site, especially with iPhone it works as an iPhone application.